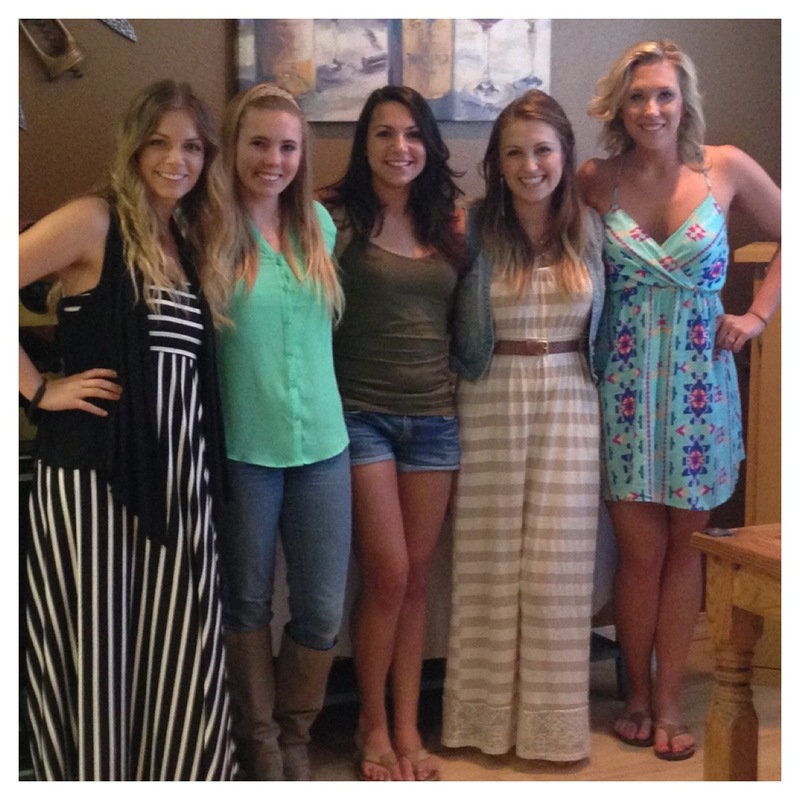 Today we had a bridal shower for Brookie (the cutie in the brown maxi dress). We have the honor to cater her wedding this upcoming summer. 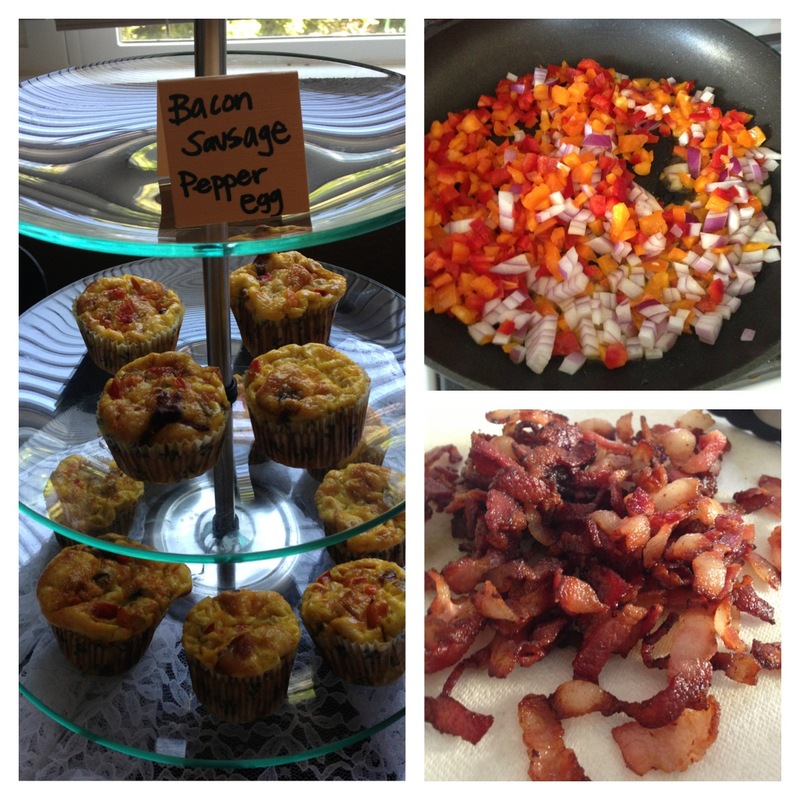 We will feast on a mexican inspired menu on her big day- but today we got to munch on one of her personal favorites- breakfast!! 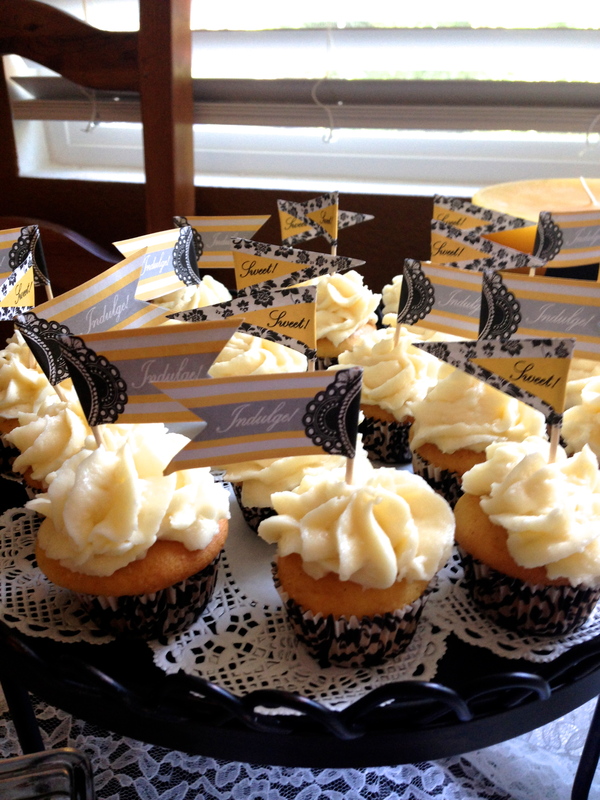 It only seemed fitting to have an afternoon brunch for her shower. 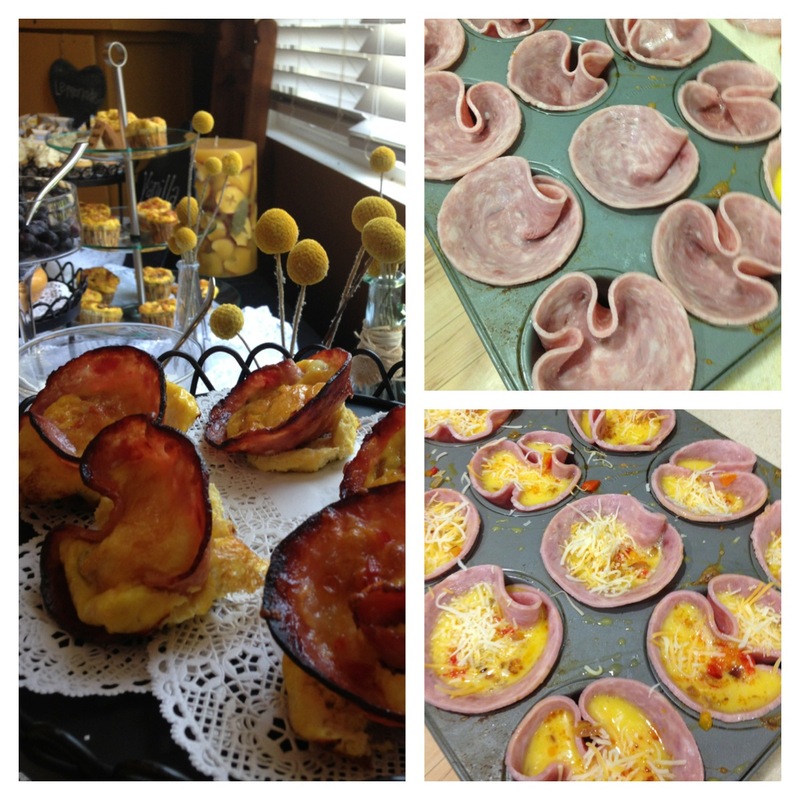 I made some of those delicious ham egg cups filled with red peppers and onions and cheese. They were so delish and certainly had some character with looks. The other flavor I made was a maple sausage with red pepper, onions, and bacon inside. These little egg cups are so great to make in advance for breakfast on the go! Just scramble your eggs and bake at 350 degrees for 30 mins. And to me it isn’t breakfast without a parfait bar! 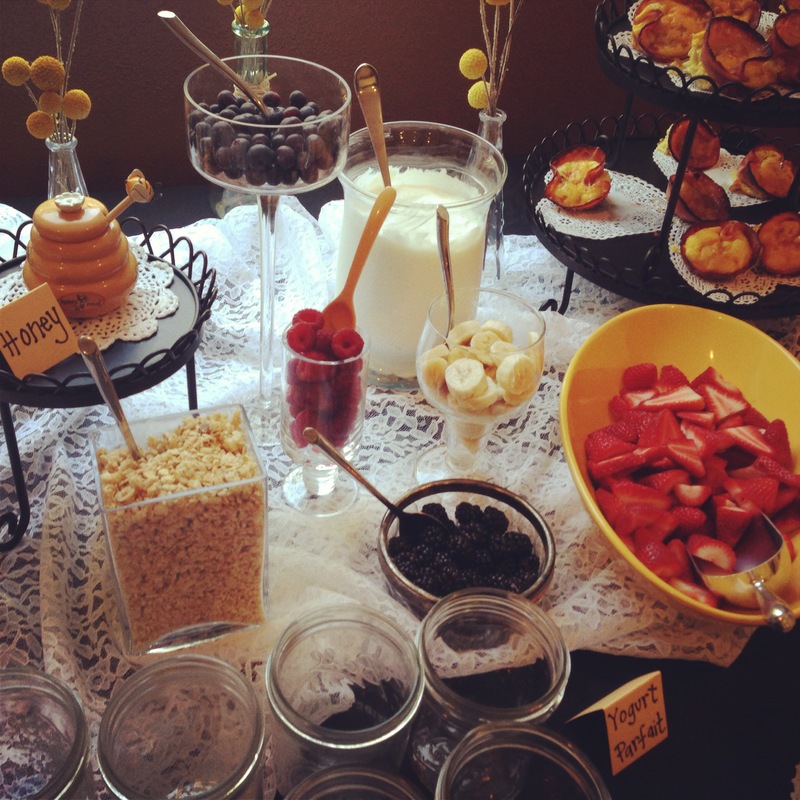 We had mason jars ready for guests to fill with granola, fresh fruit, or honey- mmm. And to get on the sweeter side of things, these beauties are blueberry and mascarpone filled pastry’s doused with powdered sugar. Talk about WOW. All finished off with our classic vanilla bean cupcake with cream cheese filling (mini size of course!). I forgot to grab a pic- but another fun idea we did with the drinks was a mimosa bar. 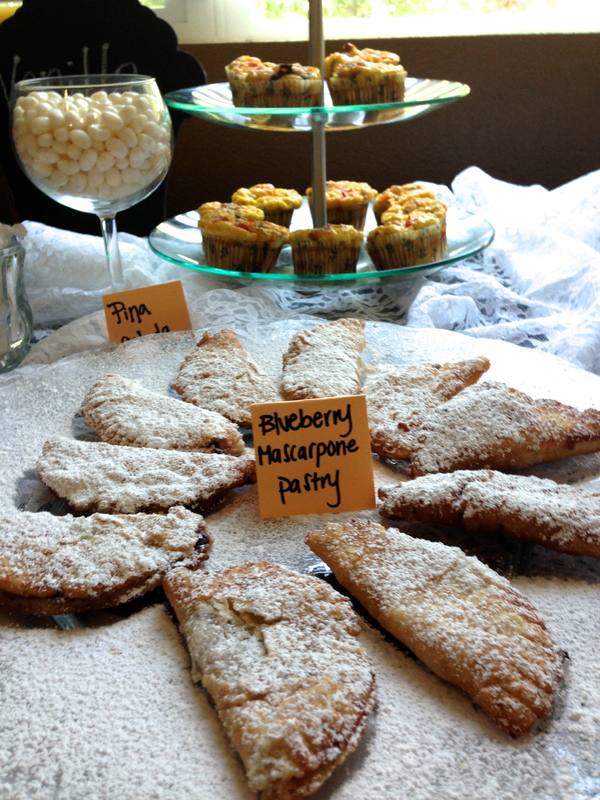 Super fun for a brunch that included different flavored add ins from orange juice to lemonade to raspberry lemonade. Happy Shower to you Brooke! We can’t wait for the big day quickly approaching this June! !